We are proud to be the leading transfer company for golf transfers on the Costa del Sol. 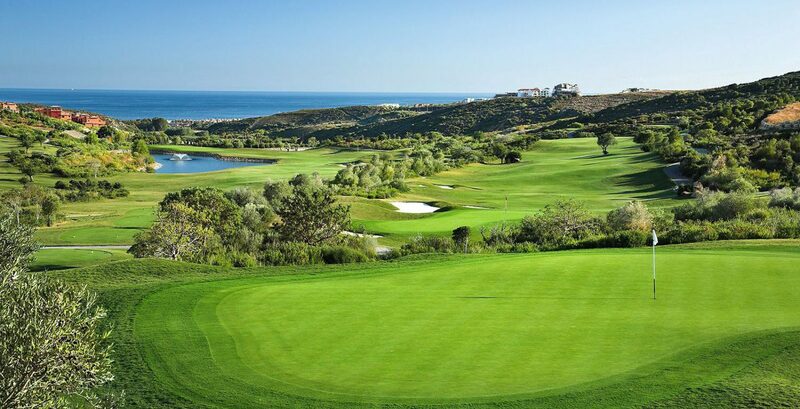 With over 70 spectacular golf courses to choose from, it’s no wonder this region of southern Spain is often referred to as the ‘Costa del Golf’. With its stunning coastline, blue skies, Mediterranean Sea, and year round mild weather, it’s easy to see why everyone, from seasoned pros to beginners, consider it one of Europe’s leading golfing destinations. So why do golfers choose Simply Shuttles? We’re situated right in the heart of the Costa del Sol. So we know the area well and all the golf clubs in the area perfectly. We also understand that golfers come with a certain amount of baggage. So we have a fleet of vehicles that are fully equipped to carry you, your golf clubs and all your other luggage too. Whether you’re a couple or a large group, we will take you from the airport to your accommodation, then collect you to make sure you get to the golf course each day in ample time to arrive on the first tee fresh and stress free. Once you have finished your round, and a beer!, your driver will be waiting to take you home again. Get in touch with the team now to get a quote and to book your Simply Shuttles golf transfer. We can help you schedule all your collection and drop-off times. Just let us know the tee-time details and leave the rest to us. Once you’ve made your golf transfer reservation, we’ll send you a detailed itinerary including your collection, tee-times and return times.